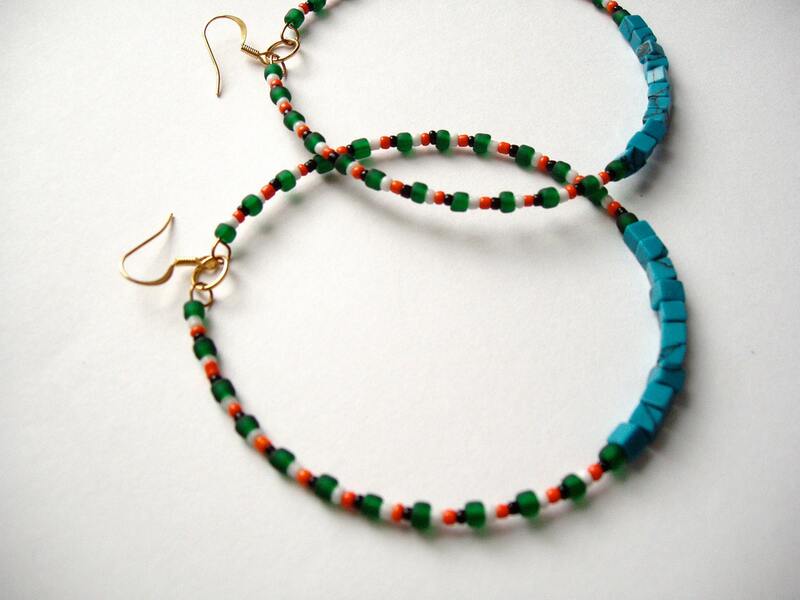 Colorful Turquoise Hoops inspired by Ankara cloth. Green frosted seed beads are accented by orange, white and black seed beads and envelop a row of genuine turquoise cube beads. 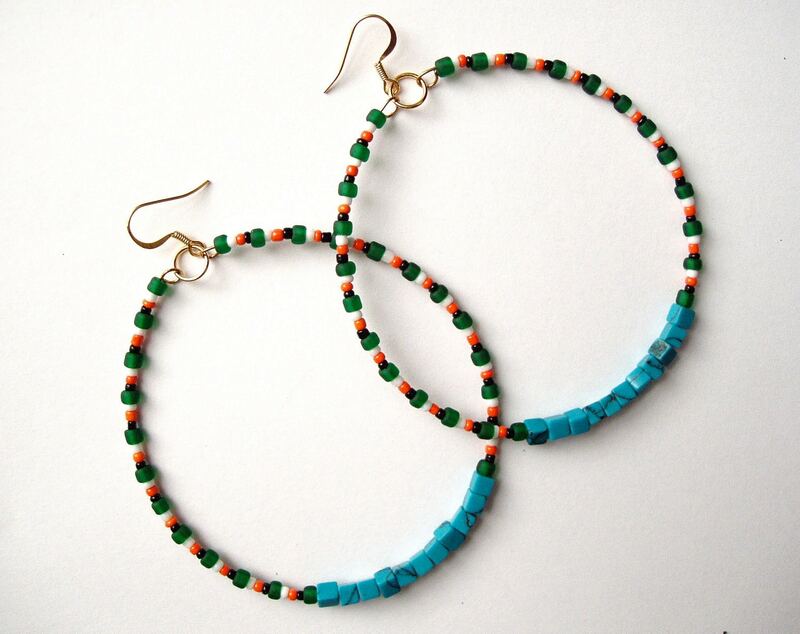 Large beautiful beaded hoops go great with everything! Excellent for adding that splash of color to any outfit! Earrings will hang about 4 inches including earwire - Large and in charge. Hypo allergenic earwires. Earwires are either gunmetal, sterling silver plated or gold plated. Sterling silver plated and gold plated earwire may tarnish over time. Maintain with jewelry cloth. *Convo/ message for international shipping enquiries. 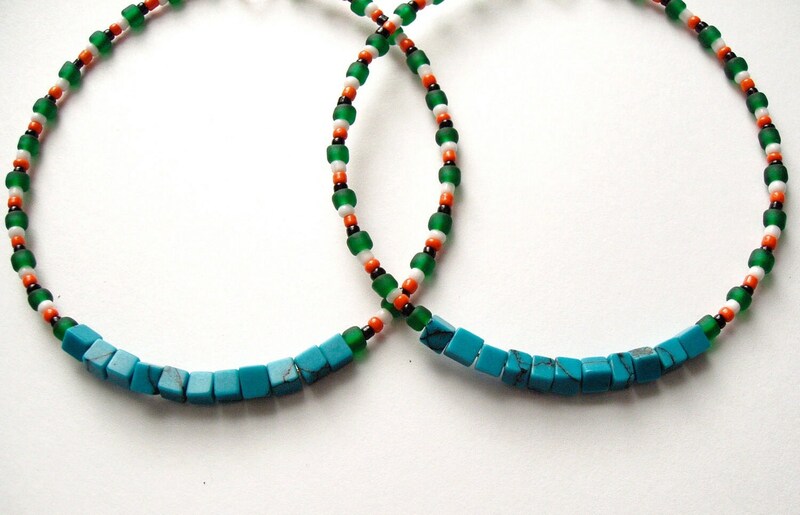 Click through for other beaded designs by La NomRah.